*When Radio Disney launched back in 1996, it looked to AM radio as an inexpensive, wide-coverage way to distribute its programming to dozens of markets around the country. For nearly a decade and a half, that strategy seemed to work for Disney: it acquired AMs in large and medium markets from coast to coast, purchasing and operating them inexpensively. But a lot has changed in the last few years: the AM signals that were at least marginally viable in 1996 have, for the most part, fallen completely off the radar for much of Radio Disney's target audience (not just kids themselves but also their parents), even as other distribution methods such as satellite radio and streaming have become much more prominent. With WDDZ and WDZK gone, Disney will still have a half-dozen AM outlets in the region: in addition to Boston's WMKI, it owns WQEW (1560 New York), WWJZ (640 Mount Holly NJ/Philadelphia) and WDDY (1460 Albany), and its programming is heard on Craig Fox's WOLF/WWLF/WAMF in the Syracuse market and on Birach Broadcasting's WWCS (540 Canonsburg/Pittsburgh), though as you'll read later in today's column, there are some changes in the works in the Steel City, too. *While WDZK prepares to shut down in Hartford, another signal that's been serving the Nutmeg State is being redirected to its state of license, NEW YORK. 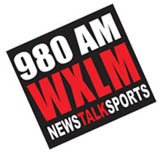 Citadel's WXLM (104.7 Montauk) is the latest incarnation of a news-talk format that's bounced around the dial in southeastern Connecticut, moving from WSUB (980 Groton) to the original WXLM on 102.3 in Stonington, and then to 104.7 when it swapped facilities with WMOS, the classic rocker programmed out of the Mohegan Sun casino. Now the WXLM programming is returning to the smaller 980 facility sometime next month - while 104.7 takes on a new identity serving Long Island as WELJ, an East End relay of Citadel's big WPLJ (95.5 New York). Why relay WPLJ way out there on the tip of the island, more than 100 miles from Manhattan? Citadel's not saying - but given the number of New Yorkers who head east to Montauk and the Hamptons, especially in the summer, it seems reasonable to suspect that at least a few of them will be carrying Portable People Meters, and exposure to WPLJ/WELJ out east will presumably count in the New York ratings just as much as it would in Brooklyn...and these days, every little fraction of a point helps. As for Connecticut, the WXLM calls took up residence on 980 in Groton late last week, displacing the WSUB calls that have been there since 1958. Once the simulcast period with 104.7 has ended, the news-talk format will displace the Spanish tropical "Caliente 980" format that's been airing there since 2006. With 1000 watts by day and just 72 watts at night, WSUB/WXLM has adequate daytime coverage of New London, but doesn't reach north into Norwich very effectively; ironically, the same was already true of the 6 kW/315' class A signal on 104.7 from Montauk. *Before WXLM and WPLJ/WELJ grabbed the headlines at the end of the week, the big news-talk news from the Empire State came from Albany, where Clear Channel kicked off the week with a bang when it pulled the plug on modern rock "Channel 103.1" WHRL just after midnight on Monday, replacing it with news-talk as WGY-FM, a full-time simulcast of venerable WGY (810 Schenectady). It should also be noted that in a marketplace where these AM-on-FM news-talk simulcasts have become increasingly common, WGY's move represents something new for Clear Channel, which had thus far resisted the temptation to create FM simulcasts for AM stations that already enjoyed full-market signals. Even as companies such as Bonneville and CBS and Cox have begun migrating all their news-talkers to FM, there's been no WLW-FM, no KFI-FM, no WHAM-FM. Instead, Clear Channel has moved more gingerly into FM news-talk, launching new outlets (such as Pittsburgh's WPGB) in markets where it had no significant AM presence or turning to FM simulcasts in places such as Birmingham where its existing AM signals were already compromised. Why WGY, then? The answer may simply be that an FM facility was available with little sacrifice - or, perhaps, that the additional building penetration the new WGY-FM offers (though it's only a class A signal, it comes from a brand-new tower and antenna just across the Hudson River from downtown Albany) is just the edge WGY needs to overcome the competition from the recently-strengthened signal of talk competitor WGDJ (1300 Rensselaer). While WGY offers a mostly-syndicated talk lineup, WGDJ stays local most of the day in a market that's all about state politics - and it's already driven another competitor, Pamal's WROW (590), out of the talk format. All of which is to say that there's no reason just yet to think that the arrival of WGY-FM portends immediate flips to FM simulcasts at other Clear Channel news-talkers in the region. In some markets (New Haven, Rochester, Manchester) there's no "sacrificial lamb" available on the FM dial; in others (Harrisburg and Springfield, for instance) there's no real competitive pressure driving such a move, which suggests that Clear Channel intends to try to preserve as much of its existing AM revenue stream as it can, holding off the "death of AM" scenario for as long as possible. *Down the Hudson, another committed-to-AM talker is bolstering its lineup: Citadel's WABC (770), which has been getting by for the last few years with almost no truly local shows on its weekday schedule, is bringing back former New York DJ E.J. Crummey (late of WNBC and WAPP in the 80s) to take over its weekday 10-to-noon slot starting October 11. *Across the hall from WABC, there's a new program director at ESPN Radio's flagship, WEPN (1050 New York). Justin Craig will come to 2 Penn Plaza next month to take the seat last occupied by Aaron Spielberg; he's coming from Chicago and ESPN sister station WMVP (1000), which means ESPN will turn over PD chairs at its three biggest stations in the course of just a few months. Another bullet dodged on Long Island: Peconic Public Broadcasting has evidently come up with the funding it needs to make its remaining $637,000 payment to Long Island University for WLIU (88.3 Southampton) by tomorrow's deadline. The East Hampton Press reports that Peconic will get much of the money loaned to it by a wealthy individual, with the rest coming from a bank loan. Moving back upstate, Syracuse-based CNY Talk Radio is adding a third station to its simulcast. Leatherstocking Media already owns WFBL (1390 Syracuse) and WMCR (1600 Oneida), and last week it began programming WUTI (1150 Utica) on the way to an outright purchase of the station. The former WRUN had spent most of the last decade in the hands of Albany public broadcaster WAMC, but when WAMC secured a Utica-market FM signal (WRUN-FM 90.3 Remsen) last year, it traded the AM station to Bud Williamson's Digital Radio Broadcasting in exchange for a Cooperstown FM translator. Since taking control of the AM station, DRB had been running the 1150 signal as an automated music outlet, with an "all over the road" format that could loosely be described as hot AC. Here in Rochester, WHAM (1180) talker Bob Lonsberry is returning to his "other" home market, Salt Lake City, by way of a podcast. A few months after losing his morning gig at Salt Lake's KNRS (105.7), Bob's now doing a six-day-a-week podcast aimed at the Utah market and the worldwide LDS audience. It's called the "Cumorah Studio," after the hill just east of Rochester where the Mormon religion was born, and WHAM is billing it as part of the "World Service of WHAM1180.com." It's "Brigadoon" time for WCKL (560 Catskill): the not-quite-dead-yet AM signal in the Hudson Valley is reportedly back on the air to keep its license alive for another year. This year, WCKL is apparently simulcasting WCTW (98.5 Catskill); that Clear Channel AC station is also WCKL's landlord. *Radio People on the Move: at WRRV (92.7 Middletown)/WRRB (96.9 Poughkeepsie), afternoon guy Shmonty has moved to Phoenix, which slides Simon Dunn from middays to afternoons, Hopkins to middays and Deuce to nights. In Ithaca, Mikey V. is moving on from top-40 WFIZ (95.5 Odessa) - he's headed to Indianapolis and nights/imaging at WNOU (Radio Now 100.9). On TV, former WFXT Boston/WNYW New York anchor Jodi Applegate, most recently seen at News 12 on Long Island, is moving over to WPIX (Channel 11) to become the solo anchor of "PIX News at 10" next week, where she'll replace the veteran anchors Jim Watkins and Kaity Tong. And a sad coda to the death of veteran upstate DJ Don DeRosa: the FCC has cancelled the $7,000 forfeiture it had assessed against WAMF (1300 Fulton) back in 2007. DeRosa had already sold the station by the time he was written up by the Commission for late renewal and unauthorized operation; since it was licensed to DeRosa as a sole proprietor, the FCC decided there was no reason to continue pursuing the matter after learning of his death. *While Radio Disney slowly retreats from the AM dial elsewhere, it appears that Disney is poised to move the format to a big signal in southwestern PENNSYLVANIA. But the plan to move Radio Disney from WWCS (540 Canonsburg) to Disney-owned WEAE (1250 Pittsburgh) around the first of the year, reported late Friday in the Pittsburgh Post-Gazette, is notable less because of what it means for Radio Disney than for what it means to WEAE's current programming. Assuming Bob Smizik's P-G report is true (and there's no reason to think otherwise), "ESPN 1250" is becoming the first to blink in what had become an overcrowded three-way sports battle in the Steel City. While WEAE was the first to go all-sports back in 1999, when ABC/Disney acquired the station from Jacor, it was soon challenged by Clear Channel's WBGG (970) with Fox Sports - and then earlier this year by a full-time FM sports outlet, CBS Radio's KDKA-FM (93.7 the Fan). As it turned out, the national brand of ESPN and a lineup of local hosts that includes Stan Savran, Guy Junker and Scott Paulsen wasn't enough to overcome the one-two punch of KDKA-FM's all-local lineup and FM signal coupled with the roadblock of play-by-play rights (Pirates, Penguins, Steelers and Pitt) assembled by WBGG and its Clear Channel clustermates. Will "Radio Disney 1250" be permanent? Don't bet on it; it seems more likely that Disney will continue to try to sell this venerable AM facility (the former WTAE), with the Radio Disney programming simply stanching the flow of losses reportedly being produced under ESPN. As for Birach's 540, the betting line seems to suggest WWCS will return to leased ethnic programming when the Disney lease ends. *A few more bits of Pittsburgh news: even as its long-term future ownership remains uncertain, Duquesne University has moved WDUQ (90.5 Pittsburgh) from the Des Places Language Center on Stevenson Street to a new studio home across campus in the Clement Building on Forbes Avenue. (WDUQ's business offices moved to a different location elsewhere on the Duquesne campus.) Hats off to chief engineer Chuck Leavens and his crew, who worked some very long days to get the move accomplished under an unforgiving deadline: the Des Places building has an appointment with the wrecking ball later this week! On the commercial side, Keith Clark has resigned as VP/programming at the CBS Radio cluster in Pittsburgh, where he was programming WDSY (107.9) and WZPT (100.7) and where he'd been at the helm as 93.7 went through a series of rapid-fire programming changes before landing as "The Fan." After a decade with the CBS stations, Clark is joining Velocity Broadcasting, where he'll be executive VP and "Director of Private Entertainment," overseeing custom programming delivered to VIP audiences. *An open FM channel in the Erie market is one of the most expensive on the FCC's list of 147 construction permits it will put up for bid in Auction 91, set for March 29, 2011. The class A facility at 92.7 licensed to the Erie suburb of Lawrence Park is the only Keystone State channel on the list, and at a $100,000 starting bid it promises to be a fairly expensive acquisition if it finds a willing bidder next year - especially since it's almost painfully short-spaced to another signal on 92.7, CJBX right across the lake in London, Ontario. "BX93" puts a respectable signal over much of the Erie area, and the new Lawrence Park signal will not only have to overcome that, but will also have to deal with an allocations limitation requiring it to use a directional antenna to restrict radiation toward CJBX to no more than 225 watts. And here's the challenge: if the new 92.7 licensee puts the tower on higher ground south of Erie, with the rest of the market's FMs, that null toward London will fall right over the city, giving the new signal even less juice with which to try to overcome the co-channel Canadian on US soil. The Auction 91 list also includes a couple of signals across the state line in New York: 95.3A in Celoron, right next door to Jamestown, will start at $45,000; 96.5A in tiny Speculator, up in the Adirondacks, will start at $2500 and 94.9A in Montauk will start at $10,000. And while our colleague and friend over at Ohio Media Watch is on hiatus, we'll pick up a bit of his territory and note that there's a northeast Ohio FM channel in the auction, too: 96.1A in Ashtabula, an increasingly crowded market, is slated to start at $45,000. *In the Altoona market, Frank Iorio's Radio Partners LLC is picking up one of the stations owned by the late Larry Schrecongost, who died at the wheel of his car back in June. Iorio will pay Schrecongost's Vernal Enterprises $610,000 for WHPA (93.5 Gallitzin), which plays classic hits as "93.5 the Heart." Down by the Mason-Dixon line, a format change that spans the border with Maryland: WCHA (800 Chambersburg) is now simulcasting with WHAG (1410 Hagerstown MD). The stations were carrying the now-defunct "Music of Your Life" format, but they switched earlier in September to Citadel's True Oldies Channel. In Philadelphia, CBS launched CBSPhilly.com late last week, merging together the websites of KYW-TV (Channel 3), KYW (1060), WPHT (1210) and WIP (610) into what looks, at least to us, like a somewhat generic portal site. The "CBS Local" group has already made the same move at the radio and TV clusters in New York and Los Angeles; will Boston be next? In Scranton, a follow-up to last week's format change: what was WQFN (100.1 Forest City) has taken the WQFM calls that used to be on 92.1 in Nanticoke, now "Radio 92.1" WFUZ. The 100.5 signal is, as we noted last week, carrying the same ESPN lineup that's heard on sister Shamrock stations WEJL (630 Scranton) and WBAX (1240 Wilkes-Barre) and their FM translators, both at 96.1. And just to add to the relay fun, WFUZ is also now being heard on the HD-2 channel of sister station WEZX (106.9 Scranton), as well as via translator W274AO (102.7) in Clarks Summit. *MASSACHUSETTS has a new radio station: WFMR (91.3 Orleans) signed on as a mid-Cape simulcast of community radio WOMR (92.1 Provincetown) at "approximately 4:36 PM on Thursday, September 16," says WOMR. The new signal at the elbow of the Cape was more than a decade in the making, and its calls (which have a long legacy in Milwaukee classical radio!) are said to stand for "Furthermost Radio," a companion to WOMR's "Outermost Radio." And if the radio dial on the Cape and Islands isn't already crowded enough, there are two FM channels out there included in next spring's FCC auction: 98.7A East Harwich is ticketed to start at $45,000, while 97.7A in Nantucket will start at $3500. Out in the Berkshires, an open channel in Adams (98.9A) is slated for a $60,000 opening bid when that auction begins next March. While we're out west, we note the passing of a former owner of WWLP (Channel 22) in Springfield: A college baseball star at Holy Cross, Paul Brissette started at the station in the sales department in 1958, eventually rising into the executive ranks under station founder Bill Putnam and subsequent owner Adams Broadcasting. In 1994, he formed the Brissette Broadcasting group that bought WWLP. Brissette didn't own the eight-station group very long; he sold it to Benedek Broadcasting in 1995, and Brissette eventually retired to North Carolina, where he succumbed to pancreatic cancer on Thursday, at the age of 78. Back in Boston, the call change at WBIX (1060 Natick) became official last week: it's now WQOM, but the Catholic programming heard there is apparently still just in test mode, since 1060 has been off the air more than it's been on the last few days. Is WQOM sticking to its originally-announced November 1 launch date after all? *There's only one northern New England FM channel on the Auction 91 list for March, and that's in Albany, in VERMONT's Northeast Kingdom. 94.5A there failed to sell in a previous FCC auction, and this time it will be on the list with a $15,000 starting bid. *A change of command in Manchester, NEW HAMPSHIRE: Dave Ashton is out as operations manager at Saga's cluster, where he was also PD and afternoon host at WZID (95.7). Replacing him is Pat McKay, who'd been operations manager/PD at Clear Channel in Springfield. *In addition to the impending silence at WDDZ in RHODE ISLAND, there's a new news director at WJAR (Channel 10) in Providence, where Christopher Lanni moves up from "content brand manager," though he's been overseeing the newsroom since former news director Betty-Jo Cugini lost her job in last year's layoffs. *In a quiet week in CANADA, the biggest news came from the AM programming departments around the Golden Horseshoe, most notably at Corus' CHML (900) in Hamilton, which unveiled a new lineup last week that showcases all-news blocks in morning and afternoon drive. With the retirement of morning host Bob Bratina, Paul Tipple now anchors mornings alongside Shiona Thompson anchor mornings, with Ted Michaels anchoring the afternoon show, displacing Scott Thompson's talk show to the noon-3 PM slot and the syndicated Charles Adler show to evenings. And in Toronto, CFRB - er, "Newstalk 1010" - brings Mike Bullard, former host of the TV talk show "Open Mike," on board for the weekday noon-1 PM slot. If the big news story from PENNSYLVANIA last week was the G-20 summit that drew world leaders, protesters and news media to Pittsburgh, there's no question that the big industry news story was taking place 300 miles away across the state, where the NAB Radio Show drew some 2500 radio people to the Philadelphia Convention Center for three days of exhibits, conferences and awards. Many of those northeast radio people didn't make it out to the big NAB Show in Las Vegas in April, when the economy (and travel budgets) hit a low point - but the convenience of a show that was within a few hours' drive or an easy train ride was too much to pass up, which may explain why we saw so many familiar faces on the show floor. This was, all in all, an optimistic show for small radio operators. While there weren't many deals actually being announced at this year's show, we left Philadelphia with the general sense that the decline in station prices is offering a real opportunity to broadcasters with the resources to start buying up stations from debt-laden bigger owners. Owners of all sizes found good news on the show floor, too: while there were few ground-breaking new products, there were plenty of vendors offering inexpensive versions of their consoles, automation systems, transmitters and antennas aimed at stations looking to save money without compromising too much on quality. There was good news in the session rooms, too: under the FCC's new leadership, the Media Bureau is promising quicker action to clear the backlog of indecency complaints and other issues that have been clogging the desks at the Portals. There was controversy as well - we spent Friday morning in a session devoted to the thorny topic of an HD Radio power increase, a topic that's of particular concern in the crowded FM spectrum along the northeast corridor. Indeed, one of the key studies being debated looked at the tight spacing between Greater Media's WKLB (102.5) in Boston and Rhode Island public station WRNI-FM (102.7 Narragansett Pier), which has complained of interference from WKLB's tests at increased digital power levels. The FCC appears to be waiting for industry leaders including Ibiquity, NPR Labs and the "Joint Parties" (the station owners and manufacturers pushing for a power increase) to come together on a solution - and at least on Friday morning, the sense was that a compromise involving small power increases and additional studies was in the works, but not finalized. As for awards, four Marconi Awards went home with NERW-land broadcasters: Jerry Lee's WBEB (101.1 Philadelphia) won hometown honors as both major-market station of the year and AC station of the year, while Matt Siegel of Boston's WXKS-FM won major-market personality of the year and Buffalo's WGR (550) won sports station of the year. A MASSACHUSETTS broadcaster is filing for chapter 11 bankruptcy. Sandab Communications, which does business as Cape Cod Broadcasting, owns hot AC WQRC (99.9 Barnstable), country WKPE (103.9 South Yarmouth), AC WOCN (104.7 Orleans) and classical WFCC (107.5 Chatham), as well as the World Classical Network - and it says it owes M&T Bank $6.5 million dollars, as well as a $3.5 million debt to Charles River Broadcasting that still remains from the $7.5 million purchase of the Orleans and Chatham stations. Sandab says it will continue the stations' operations without change while it reorganizes. There's just one other piece of Bay State news this week, and it comes from the unlicensed side of the dial: "WPOT," the Dorchester-based pirate that's already been visited once by the FCC, has changed frequencies. The former 97.5 operation is now on 87.7, though it's still calling itself "Hot 97." Jeff Shapiro's Great Eastern Radio is adding two more stations to its NEW HAMPSHIRE holdings with a deal to pick up WNNH (99.1 Henniker) and WWHQ (101.5 Meredith) from Nassau Broadcasting, which had to spin those two signals to stay under FCC ownership caps. No sale price has been announced for that pair of signals; meanwhile, we hear that Great Eastern won't be closing on the $700,000 deal it announced almost a year ago to acquire WCVR (102.1) and WTSJ (1320) in Randolph, VERMONT from Ken Barlow's Vox group. WTSJ has already shifted programming, switching from a simulcast of Great Eastern's country WXXK (100.5 Lebanon NH) back to Vox's news-talk WEAV (960 Plattsburgh NY). It was a sad start to the week last Monday in western MASSACHUSETTS, as WBEC-FM (105.5 Pittsfield) morning host Big Mike Patrick had to tell his listeners that his co-host, Sharon Steele, had died during childbirth. Steele, whose real name was Sharon Brophy-Forst, died September 15 while giving birth to daughter Olivia. Sadly, Olivia didn't survive, either, and our sympathies go out to Sharon's husband Kyle. Steele's career began in her native Vermont, at WZRT (97.1 Rutland), and took her to upstate New York, Delaware and WHMP-FM (99.3 Northampton) before she settled in at "Live 105" a few years back. She was just 38. Across the state in Boston, some happier news to report: WBUR-FM (90.9 Boston) is now broadcasting with higher power (12 kW, up from 7.2 kW) from a new Shively antenna mounted in the same spot as its old one, right at the top of the "FM-128" tower on Chestnut Street in Newton Upper Falls. The station pulled off the antenna replacement in just one day, using its backup site atop the BU Law School building in the meantime; we're hearing that the reports of improved reception are already coming in. And there's still no sign of Jay Severin on WTKK (96.9 Boston), two weeks after the start of a flap about his claim of having won a nonexistent Pulitzer Prize for online journalism. The station's been carrying Sean Hannity's show live in the 3-6 PM timeslot instead. It was a heck of a night Saturday in upstate NEW YORK, as about 150 veterans of the Binghamton radio and TV scene gathered at an Endicott restaurant for the largest edition yet of the "Binghamton Broadcasters Reunion." NERW was delighted to be able to attend the event, which included a display of some neat old Binghamton broadcast memorabilia, lots of great stories, and even some awards. WMRV's Louie G was named "Broadcaster of the Year" for his outstanding charity work. WLTB's John and Chris took home a special achievement award. The late Ray Diorio was honored with the Binghamton Broadcaster Memorial Award. And veteran WNBF/WNBF-TV/WBNG newsman Bernie Fionte won a standing ovation when he was named this year's "Living Legend." In the Bronx, WFUV (90.7 New York) raised its new tower over the weekend. The 160-foot guyed mast sits atop a building on Gun Hill Road owned by Montefiore Medical Center, and once it's fitted out with an antenna and WFUV signs on there, the station will be able to take down the unfinished tower on the Fordham University campus that caused so much controversy when it began rising above the treeline at the nearby Botanical Garden. On the TV dial, the buzz in Philly was the impending shutdown of one of the city's newsrooms. Tribune announced that it will close the news operation at WPHL (Channel 17) on December 10, though news will continue via a 10 PM broadcast produced by NBC's WCAU (Channel 10). SAN FRANCISCO - "What do you worry about?" That was the question former CNN anchor Lou Dobbs posed to Clear Channel chairman Lowry Mays as the two chatted in front of a room filled with hundreds of broadcasters here at the NAB Radio Show. "Yesterday afternoon," drawled the man who owns more radio stations than anyone else in history, "I was worried about whether that German brown trout was going to grab that fly." Mays was joking -- we hope -- but the point remains clear: the big guys here at NAB still believe their business has a future. The trouble is, the big guys are about the only ones here this year. Walk the convention floor and you'll see very few badges from small-market stations, and fewer still from the big group-owned stations, many of which declined to send individual station managers to San Francisco this year. Who's left? Lots of "e-this" and "i-that" and "whatever.com," to be sure, and many of the streaming audio booths remained packed throughout the week. One we couldn't even get near for a while was Kerbango, that 40s-style net-radio appliance that's supposed to make it as easy to tune in your favorite Webcaster as it is to tune WBZ from Nantasket Beach. The equipment makers were out in force, of course, and the smiles were especially wide on the faces of the transmitter and antenna guys. They, of course, will get to sell new equipment to pretty much every radio station in America if IBOC digital becomes a reality, and there were plenty of prototypes ready to be gawked at. Speaking of IBOC, we did spend a few minutes at the iBiquity bOoth, where a prototype receiver offered a chance to listen to San Francisco's KLLC (97.3) in IBOC digital, compared with several other locals in analog. To untrained ears, the difference was a bit short of stunning. No multipath (which is a big deal in this terrain-challenged town), but it's hard to see how the extra few dB of dynamic range and slightly better frequency response will make much difference in the real world, where we listen to radio in the car with the windows open and Freckles, the NERW Wonder Dog, barking her head off over the music. And yes, there were some real radio folk here too. A Friday afternoon session on local news in small markets warmed the heart of this former small-market radio newsguy. Listen to a guy named Jay Fisher, from a little station in Missouri called KTKS: "Whenever anything happens, we have someone there to report on it. No matter how insignificant it seems, those are the things people want to hear about." An interesting concept, isn't it?